When I was a kid I loved catching an episode of Popeye on TV. If you watched the show, you can’t help but remember how much Popeye loved spinach. Whenever Popeye needed to fight someone, he would open a can with his biceps and eat it through his pipe. Not sure about how he could eat through the pipe, but the message must have gotten through to me because this superfood is one of my all time favorite foods. I truly realized how much I love this superfood when I was pregnant with my kids. It was always one of my most craved foods. Only then, I would eat the canned spinach, heated up in the microwave. I would only think about eating it while I was pregnant. My last pregnancy was a surprise. In fact, my first indication of being pregnant was with a late night craving for spinach. Since then, I like to think my cooking skills have gotten a little more refined than eating it out of the can. I am sure I don’t have to tell you what an amazing superfood spinach is. The nutritional benefits of eating it regularly are among the highest of all vegetables. Eat it mixed into scrambled eggs, on sandwiches, in a salad, with turkey meatballs and as a side to anything you want! You can literally throw a little spinach into anything. I am discovering more delicious ways to eat this versatile superfood all the time. My favorite is to sauté in coconut oil and garlic. It takes about 3-4 minutes, so make sure to make it the last item cooked for dinner or it will be cold. I’ve learned that the hard way. Heat frying pan to medium heat with coconut oil and garlic. 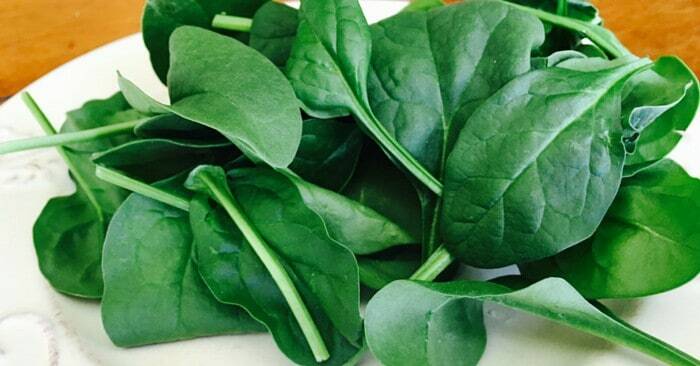 Toss spinach in pan until wilted, about 2-3 minutes. Serve immediately. Yummm…I know what I’m having for lunch today! 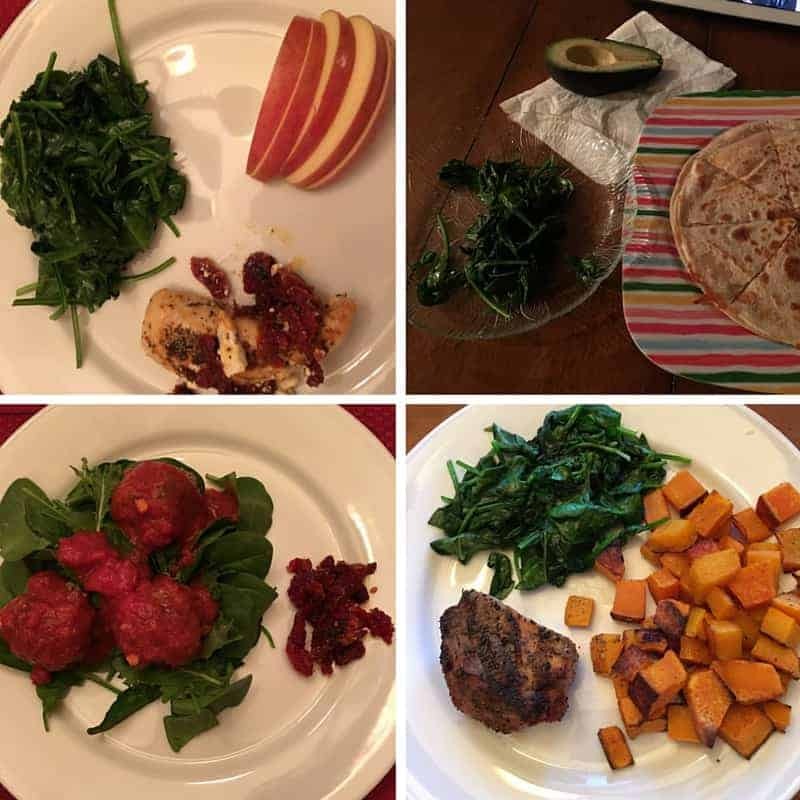 Follow me on Instagram for upcoming spinach dishes!